The unemployment rate among graduates has been steadily increasing over the years and some have decided to engage in entrepreneurship. Government initiatives such as entrepreneurship pro-grams and funds have been created to attract youth to entrepreneurship. However, becoming an entrepreneur is a big challenge as it requires certain characteristics that influence an individual’s entrepreneurial intention. 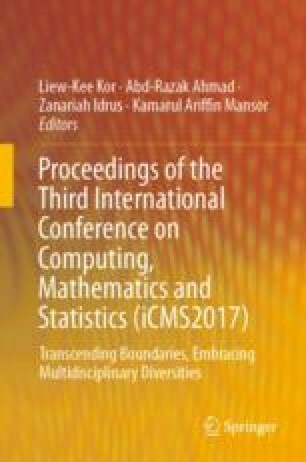 This study explores the factors affecting the entrepreneurial intention among students at National Craft Institute (IKN), Rawang. It covers demographic profiles, educational supports, attitudinal factors and behavioral factors, and how these factors influence the entrepreneurial intentions among IKN students. A questionnaire was distributed to students of six different programs using simple random sampling. The data were analyzed using correlation analysis and multiple linear regression. Results revealed that there is a relationship between educational supports, attitudinal factors, and behavioral factors in developing entrepreneurial intention among students. This study also found that there is a significant difference in entrepreneurial intention between the three factors, with educational supports being the most influential.